The Global Precipitation Measurement (GPM) mission is an international partnership co-led by NASA and the Japan Aerospace Exploration Agency (JAXA). 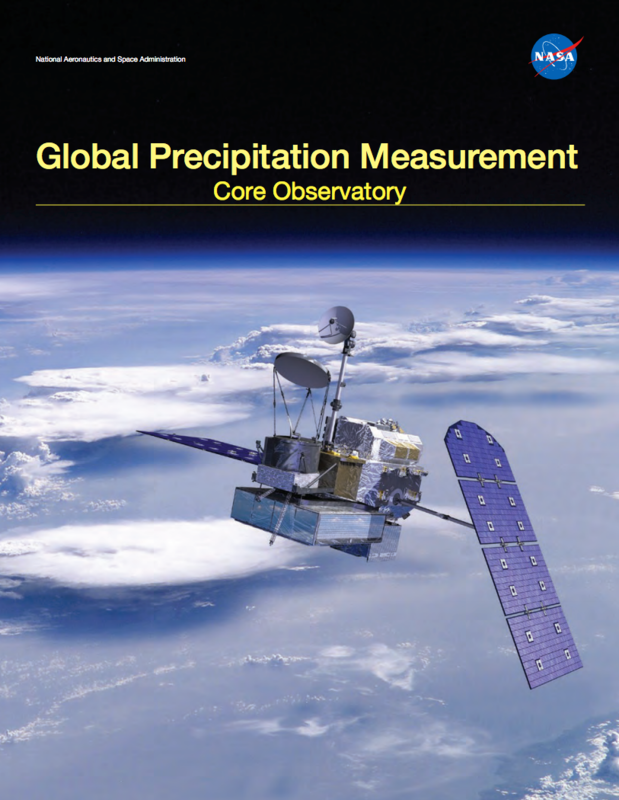 The mission centers on the deployment of the GPM Core Observatory and consists of a network, or constellation, of additional satellites that together will provide next-generation global observations of precipitation from space. 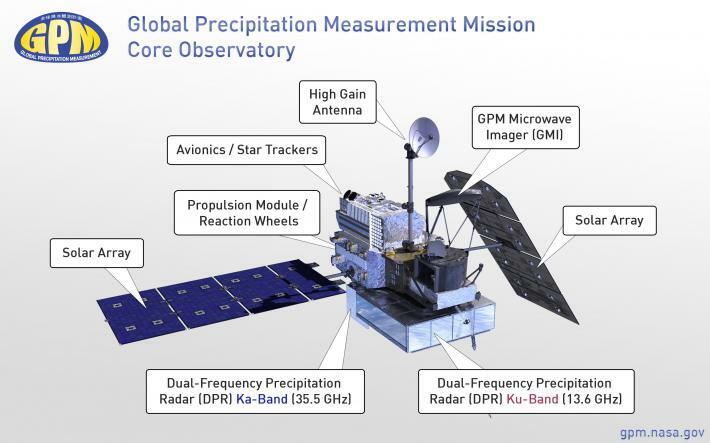 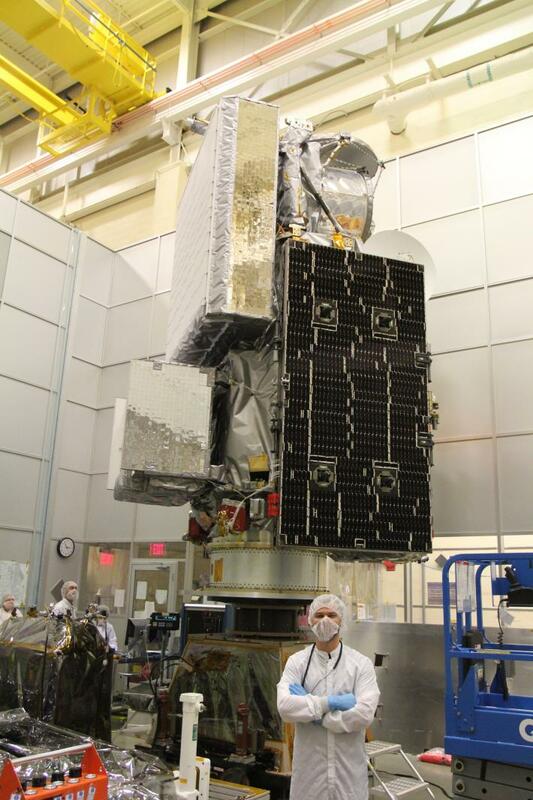 The GPM Core Observatory will carry an advanced radar/radiometer system and serve as a reference standard to unify precipitation measurements from all satellites that fly within the constellation. 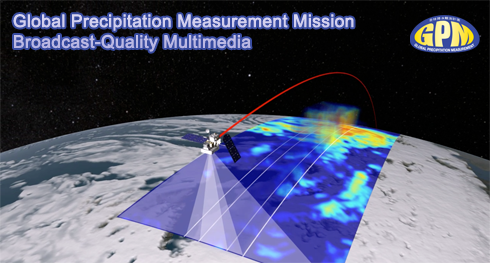 Download high-resolution GPM imagery and video from NASA Goddard's Scientific Visualization Studio. 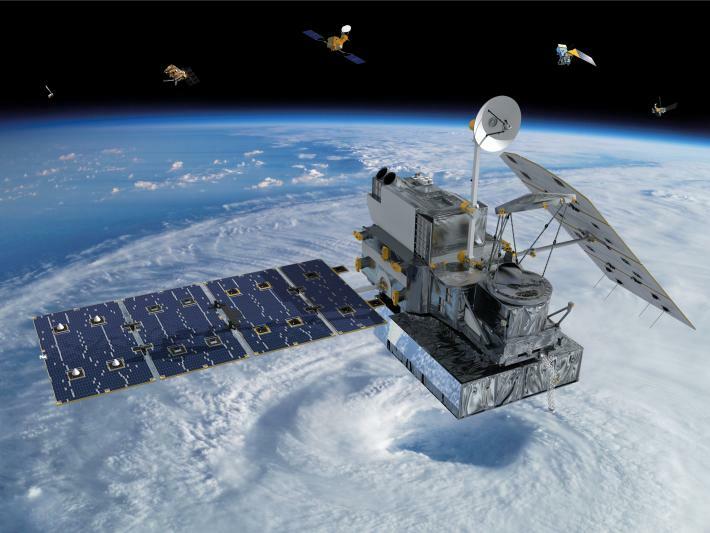 Visualization of the GPM Core Observatory with constellation satellites. 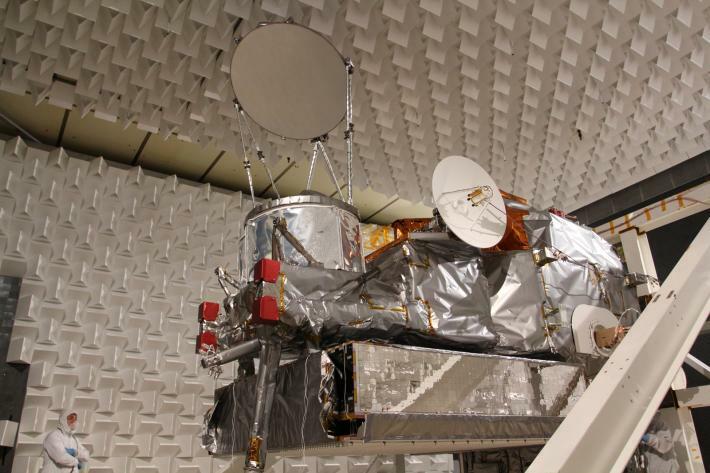 The GPM Core Observatory in the electromagnetic testing chamber. 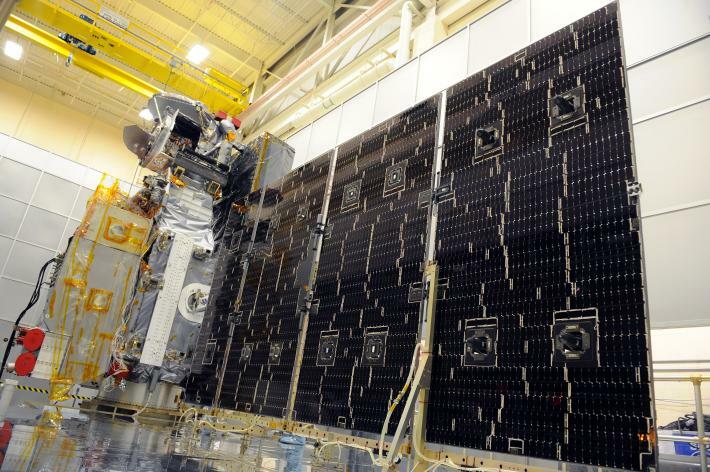 GPM completed the EMI/EMC test at Goddard Space Flight Center in May 2013. 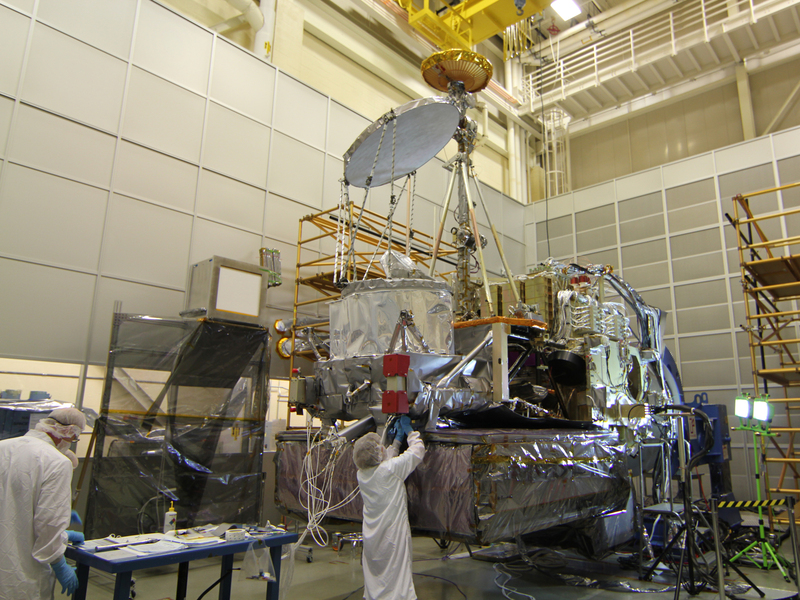 Engineer Daniel Alvarado overseeing the GPM Observatory mass properties test in September 2013 at NASA Goddard Space Flight Center. Diagram of the GPM Core Observatory showing its main instruments and components. 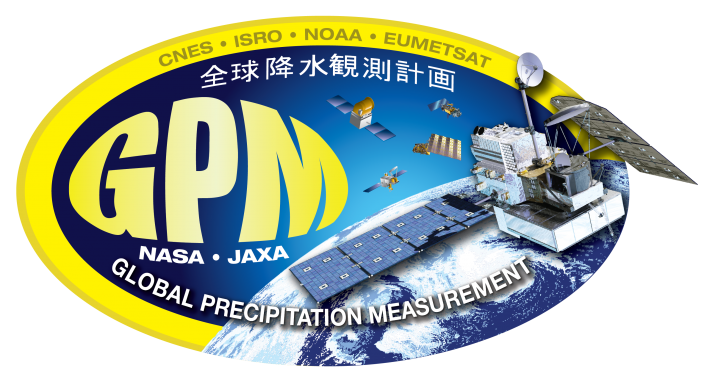 Decal for the Global Precipitation Measurement Mission.